Ammunition imports have surged to a new record. Ammo imports jumped more than 200% in November, compared to the year before, according to the trade data research organization Panjiva. Some 2,865 tons of bullets were imported last month, totaling 17,850 tons over the last 12 months, according to Panjiva. This is all coming from civilian buyers, not the military. Ammunition imports have been rising for some time, in tandem with increasing gun sales. This latest data shows that the increase in imports has accelerated. "It's very unusual in an import industry like this to see such a big move," Panjiva research analyst Chris Rogers told CNNMoney. "It tells you that there's a customer demand that's not being met by U.S. manufacturers." The top foreign manufacturer is the South Korean company Poongsan Corp., followed by bullet makers Fiocchi Munizioni of Italy and Prvi Partizan of Serbia, according to Panjiva. Poonsang's bullets are imported by a California company called Topth, but the U.S. importer handling the largest supply of ammo is Eurosport of Texas. Gun imports actually dipped 13% in November, compared to a year ago, while imports of gun parts increased nearly 29%, said Panjiva. The dip in gun imports doesn't mean that Americans are buying fewer guns, because they're actually buying more. 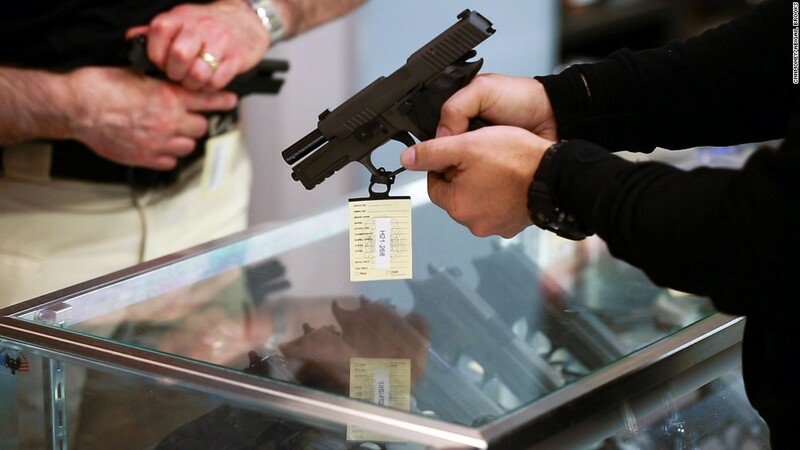 But U.S. gun manufacturers like Smith & Wesson (SWHC) and Sturm Ruger (RGR) have aggressively expanded their own production to meet the rising demand, resulting in double-digit sales spikes.